Elena Gilbert (Actress Nina Dobrev) Seen Wearing Sienna Grace Jewelry's "Vintage Swarovski Necklace" in Episode 5:2 of "The Vampire Diaries"
Cindy Arnet, designer/owner, Sienna Grace Jewelry (http://www.siennagrace.com) of Arroyo Grande, California, has had her "Vintage Swarovski Necklace" worn by character Elena Gilbert (Nina Dobrev) on Episode 5:2 of CW TV's "The Vampire Diaries," which aired October 10, 2013. In addition, the designer's "Garnet & Smoky Quartz Pendant" will be worn by Elena on Episode 5:5, "Monster's Ball," airing October 31. 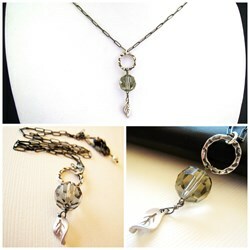 "Vintage Swarovski Necklace" by Sienna Grace Jewelry, as seen on Elena Gilbert, Episode 5:2, "The Vampire Diaries"
Cindy Arnet, designer/owner, Sienna Grace Jewelry (http://www.siennagrace.com) of Arroyo Grande, California, has had her "Vintage Swarovski Necklace" worn by character Elena Gilbert (Nina Dobrev) on Episode 5:2 of CW TV's "The Vampire Diaries." The episode, "True Lies," aired October 10, 2013. 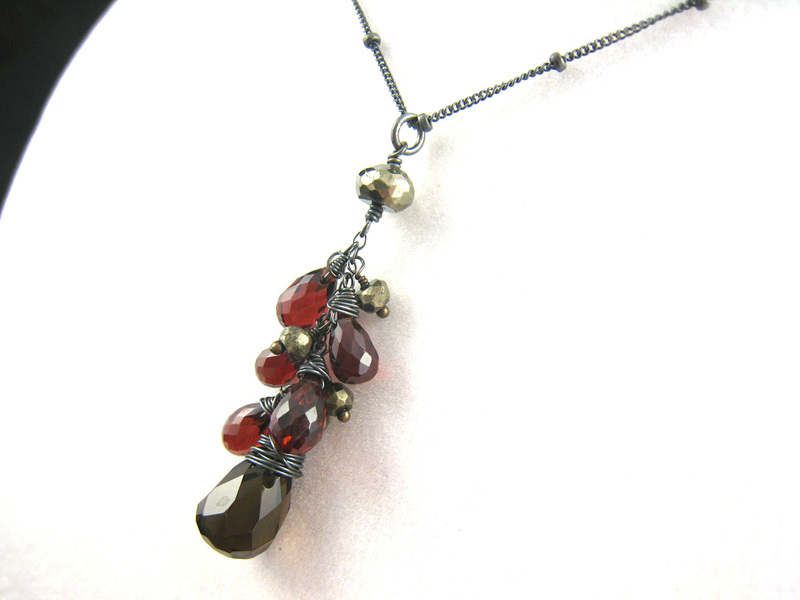 In addition, the designer's "Garnet & Smoky Quartz Pendant" will be worn by Elena later in the season. Arnet says she received notification in late July that her “Vintage Swarovski Necklace” had been selected by wardrobe stylist Leigh Leverett for use on an upcoming episode. To Arnet's surprise, she received a second email in early August, telling her a piece she had submitted for consideration in 2012 has also been selected for Elena to wear, this time on Episode 5:5, "Monster's Ball," which airs October 31. Watch a Sienna Grace Jewelry video. Leigh Leverett received Arnet’s “Vintage Swarovski Necklace” and “Garnet & Smoky Quartz Pendant” as part of a Stylist Gift Bag initiative coordinated by art promotions and celebrity gifting company The Artisan Group®, of which Arnet is a member. Arnet is a huge fan of “The Vampire Diaries,” and enjoys watching with her teenagers. She is also an avid participant in The Artisan Group® gifting initiatives. Most recently, she presented her jewelry to members of the press at GBK’s 2013 Oscars Gifting Suite and has also gifted Mariska Hargitay (“Law and Order: SVU”) and Brandi Glanville (“Real Housewives of Beverly Hills”). To learn more about Sienna Grace Jewelry, contact Cindy Arnet by phone or email. Become a fan on Facebook (SiennaGraceJewelry) and follow the company on Twitter (@siennagracegems). Shop Sienna Grace Jewelry at siennagrace.com. For more information about The Artisan Group, visit theartisangroup.org. Sienna Grace Jewelry (http://www.siennagrace.com) specializes in gemstone jewelry inspired by nature, art, and imagination, including custom designs.